I am a huge Reese cup lover. They're one of my favorite chocolates to have and I love them best when they've been in the freezer for about an hour or so. The coldness of the chocolate and the peanut butter just taste delicious. 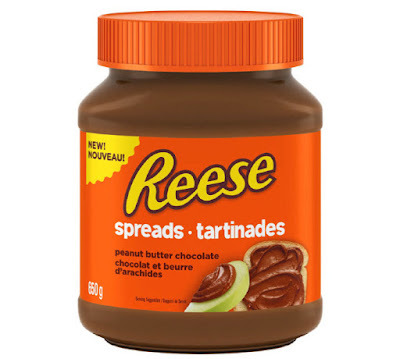 So I was pretty excited when I heard there was a Reese spread now available in stores to bring home for your family to enjoy. I was sent a couple jars of the spread to try out and let me tell you, this did not last long in my house at all. My kids and husband devoured this spread and I know this will definitely be added to my grocery list soon. The Reese spread is the perfect combination of both the chocolate and peanut butter flavors we love, but now in a spreadable form. It can be added to just about any snack or dessert to give yourself a treat. 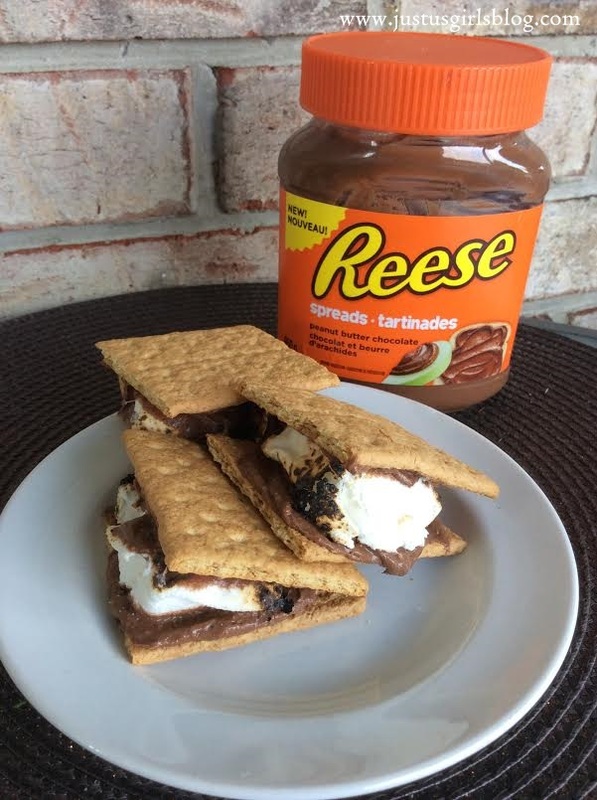 My family and I have been enjoying this spread with sliced apples, over a toasted waffle for breakfast, wrapped up in a tortilla with a banana and we've even decided to add it to replace a piece of chocolate on our s'mores. It's easy and taste absolutely delicious. I've even had a few spoonfuls of this spread because it is just that good and a great treat to have after a long busy day.